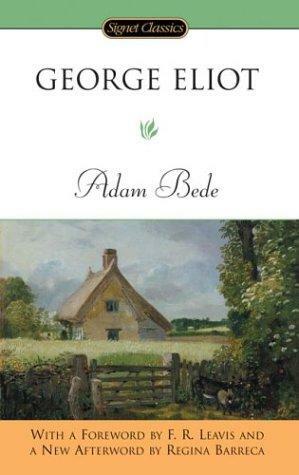 Adam Bede, a young craftsman in Hayslope, is an extraordinary son, worker and definitely lover. He really masters his profession. His co-workers and villagers put high respect on him because of his skills and kindness. His sibling, Seth Bede, helps him with the job. They both take care of their loving yet childish-kind-of mother, Lisbeth, who find it so difficult to cope with the death of her husband, Thias Bede, who commits suicide. Then, we have this super beautiful, attractive, young girl called Hetty Sorel. She spends days working at the farm belonging to her uncle, Mr. Poyser. Adam falls so deep in love with Hetty but his improverised condition becomes one of the factors that cause Hetty not to set her heart to him. Rather, she is high over heels with Arthur Donnithorne, a rich young man from a well-respected family in the village. Lisbeth never agrees with Hetty for the former does not think she won’t be Adam’s good wife. She believes that marrying Hetty will only cause Adam not to care about her anymore; that Adam will only pay attention to Hetty only. To make it more complicated, George Eliot, the author of the novel, presents us with a very religious Methodist woman namely Dinah Morris, a far relative of Hetty. She is that kind of angelic, super tender-hearted person who is like everyone’s favorite. Dinah feels her life is to serve the poor, the sick, the brokenhearted, the mourners. She wants to devote her life to God. Seth really loves her but as you know, she rejects her as she dedicates her life to God. Arthur loves Hetty but he puts his dignity and good name above all else. He can’t escape from the truth that Hetty is completely nobody compared to his high standing in the society. But Arthur keeps on courting her. They meet several times, being involved in super romantic experiences until Adam catches them. Adam almost kills Arthur for the former believes the latter plays only with her heart. And Arthur, after a heart-to-heart talk with Adam, decides he will leave Hetty. Arthur trusts Adam to convey a letter conveying his decision about the fate of his love story to Hetty. Her heart is devastated upon reading the letter. But Hetty manages to put a brave face after the heartbroken news. She works as usual and no one in the family is curious with her condition. That is the best time for Adam for trying to get into Hetty’s heart once again. Adam’s prospective future and his tenderness slowly win her heart till they decide to tie a knot. As the D-day approaches, however, Hetty can’t help being true to her heart that she can not marry Adam. Her love is always for Arthur. She decides to seek Arthur. To camouflage her plan she tells her uncle family and Adam that she is going to Dinah’s place. Her high expections are dashed away. She travels so far away, spends all her cash, walks aimlessly but to avail. Arthur goes to Ireland. Hetty even tries to commit suicide by drowning into water at night but she cancels her plan. A fews has passed but Hetty is still not at home. Adam starts to get panicked then he visits Dinah’s place. He gets more confused for knowing that Hetty never goes to her sibling’s place. It’s easy for Adam to conclude that Hetty goes for Arthur; that all her feelings to him has never been changed. As such, Adam comes to Mr. Irwine, a rector who is also Arthur’s best friend. Mr. Irwine tells what happens to Hetty while she is absent from Hayslope. As shocking as it gets, Hetty is facing a trial for being alleged to have killed her own baby. You’ll never guess how Hetty faces her doomsday. She is as quite and pale like a living corpse. Whenever she is in the court she remains silent, her face does not pay any attention to witnesses who testify against her. Even when Adam, who looks as miserable as ever, is present in the court, Hetty does not look at him at all. All that she does is being in a silent mode while listening to the testimonies. No witnesses are in favor of her. To make it worse, Hetty does not even say guilty. The judge then decides she has to be hanged. Arthur returns home after learning his grandfather’s death. Not long as he arrives at his home he immediately flees to where Hetty is jailed. No one can ever open Hetty’s cold, broken, stubborn heart than Dinah. On the days prior to the execution, she comes to visit and spends a night at the prison with Hetty. It is to Dinah that Hetty tells about her ill-fated baby; that she does bury the kid and when she comes back to the burying site the kid is already gone. Hetty is so damn homeless with no money and hungry as hell. She admits her recklessness and seeks apology from Adam. Adam is beyond sadness when he meets Hetty on the day before she is hanged. He forgives her already. When the short meeting ends, it’s time for Hetty to get carried to the execution site. As the carriage carrying her is on the way to the site, Arthur stops the entourage while bringing a death release sentence. Hetty is then instead transported as convicts. Arthur meets Adam again for reconciliation some months after the incident. Arthur decides to leave Hayslope and choose to go into the army. Before he goes again, he has to ensure his good relationship with Adam remains intact. Dinah, meanwhile, stays with the Poyser family. And as usual, after the storm passes, she intends to leave the comfortable zone then seek another place where she will help the needy people. Despite strong rejections from the Poyser family, Dinah sticks at her heart. Before she goes again, Dinah visits Adam’s family to fulfill Lisbeth’s requests. Lisbeth is fond of Dinah thanks to her pious, sweet attitude. She then persuades Adam to invite her to be his wife after she suggests there’s something different within Dinah’s heart. Although Adam initially thinks this is a mere joke, he later realizes that he starts liking Dinah but the fact that Seth loves her, too, pulls Adam away from declaring his love to Dinah. Somehow, Adam openly discusses his intention to marry Dinah to his closed brother. Surprisingly, Seth is not objected. He is satisfied to regard Dinah as his sister after all. So all is set, no jealousy may occur among the two, the problem is: will Dinah want to get settled and get married to Adam? It’s not easy for Adam to convince Dinah. Although she honestly admits her truest affection to him, Dinah prefers to go into the service again. They both decide to go on their own way for a while till Adam’s patience runs out. He needs an assurance. He then decides to seek Dinah without telling her on his intention beforehand. At the top of the hill, they both meet once again and to this point Dinah can’t run away from her feeling anymore. She agrees to be Adam’s best companion till the end of time. The novel is closed with such a happy ending where the people in Hayslope attend and celebate the wedding of Adam and Dinah. Two kids add super extra joy to their happily live ever after marriage story. One of the most disgruntled effects because of experiencing heartbroken is losing my reading appetite. Prior to this awful yet precious moment, I am such a bookworm. At least, I call myself as such kind of person. I am so in love with novels. Classic, thick books with long-flowery yet poetic kind of novels. I can’t believe that being heartbroken can even kill this number two hobby (number one hobby is watching Juventus, by the way). For about two months, I completely shut my mind from reading novels. I have ‘Adam Bede’ in my bookshelf and I retouch the book about this week despite the fact I have purchased this George Eliot’s masterpiece a few months ago. Before the title, I still have another title left unread. Say, ‘Don Quixote’, ‘Perang Muhammad’ and ‘Sejarah Islam’, the last two are not novels, but books about Islam, by the way. Anyhow.. that’s how being brokenhearted can be so destructive. It takes you out from your own self. It drags you down. It causes you not to do anything you usually fond of. In my case is reading amazing books. Oh and I don’t listen to love songs about two months. Yep, the experience hurts me so much that I even avoid listening to the songs I usually like to hear. That’s the bleak moment and now I’m back. Can’t be more joyful than the afternoon visit to Kinokuniya bookstore on Thursday, Aug 21, 2014. I know I still have the unread ‘Adam Bede’ coupled with empty pocket but still .. I can’t help myself dropping by at the most favorite store ever in Jakarta. I glance at some titles, look at the new books in the front area of the large bookstore. Actually, I’m a bit disappointed that the store has yet to add more titles about classic literature. I order them via Twitter to provide Charles Dickens’ Our Mutual Friend but apparently the title is still unavailable. Never mind though. Through and through. I grab and have a quick look at some books. My focus is almost always on the classic section. I don’t care about another genre. Unfortunately, I have no to-be-read classic books in my mind even after the short literature tour. For me, Thomas Hardy is the only classic writer whose works I always admire. And I have read his best novels. So I must seek another genre. Here we go… among a few books without plastic wraps, I set my eyes on ‘On The Road’ by Jack Kerouac. I have known his name for quite a long time but haven’t opened the title until that afternoon. And wow.. I must admit that I am hooked by the book and another title whose title I forget. It’s different from another first person story telling. I feel like rereading ‘The Catcher in the Rye’ but with more mature point of view. The book is great. The language surprisingly catches my heart since usually I dislike reading first person story telling. I prefer to read third person story telling, like the ones I read in Hardy’s books. Jack’s writings are somehow.. I don’t have an exact word other than: so honest. Once I read the first page I am completely hooked. Looking at the book price I put the book back at the shelf. LOL! One day I’ll return to those titles.